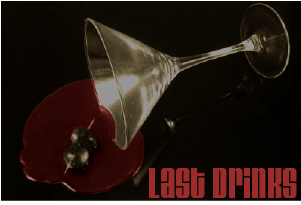 Last drinks is a short in the film noir genre by the up and coming Shared House Productions. Shooting scheduled to begin shortly, this will make great summer viewing. Last Drinks is all about mood, mystery, and the femme fatale. Tonight’s viewing will be ‘The Maltese Falcon’ as my refresher course in noir. Sound plays a strong role in noir films with tense silence, sudden noises, and heavy breathing being trademarks of the genre. I’ll be playing the role of sound recordist, and designer on this film and I’m looking forward to it.